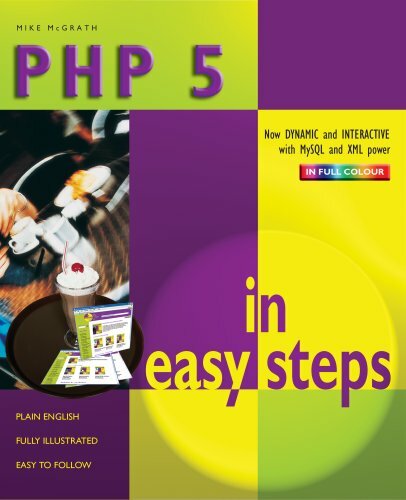 "PHP 5 in easy steps" instructs how to create exciting interactive web pages using the latest major release of the popular PHP scripting language. PHP allows data to be easily exchanged between a web browser and a web server - both on the Windows platform and on Unix-based platforms, such as Linux. Exciting chapters, with complete code examples, illustrate the major features of the PHP language and screenshots depict the actual output from each example script. You are also introduced to MySQL databases and shown, by example, how PHP can interact with databases to store user input, and to retrieve stored data for delivery to a web browser as components of a web page. "PHP 5 in easy steps" begins by explaining how to download and install the free Apache web server, the free MySQL database server, and the free PHP 5 interpreter. This allows you to establish an environment in which to run PHP scripts on your own computer. Examples show how PHP scripts can generate dynamic content, manipulate files, store user-data, send email, authenticate log-in attempts and communicate with databases. This book makes no assumption of previous knowledge of any programming or scripting language so it's ideal for the newcomer to PHP. Each chapter builds your knowledge of PHP scripting. By the end of this book you will have gained a sound understanding of the PHP language and be able to write your own scripts that can be run on any web server that is configured for PHP. "PHP 5 in easy steps" has an easy-to-follow style that will appeal to anyone who wants to add PHP scripts to their web pages. It will appeal to web developers wanting to add dynamic interaction to their web sites. 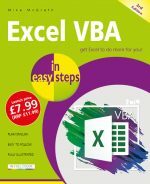 It will appeal to the programmer who quickly wants to add server-side scripting to their skills set. It will appeal to the hobbyist who wants to begin creating PHP scripts for upload to their own ISP. It will appeal to the student, and to those seeking a career in computing, who need a fundamental understanding of server-side scripting in PHP.